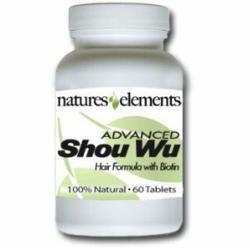 He Shou Wu and Advanced Shou Wu are Known to Stimulate Hair Growth and Prevent Gray Hair. Natures Elements now offers these one of a kind products. He shou wu has a reputation for improving the hair and restoring color and has helped many customers combat hair loss and graying hair. Natures Elements, an online retailer for vitamins and herbal supplements recently released a new product called: Advanced Shou Wu. This product is great! After taking He Shou Wu for a month my hair started growing again on spots where it was only falling out for over 5 years. A 12:1 extract ratio is contained in both Natures Elements Advanced Shou Wu Formula and Original Shou Wu. Vitamin companies selling He Shou Wu often sell less potent powders requiring much higher dosages, some of which are upwards of 9 tablets a day! Because Natures Elements He Shou Wu is so concentrated consumers only need to consume 2 tablets a day. By nourishing the liver and kidneys, He Shou Wu stimulates blood circulation to the head providing healthier hair. 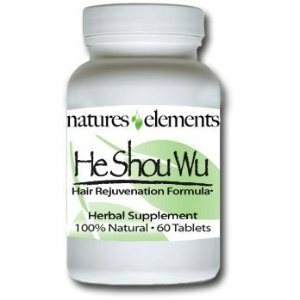 He Shou Wu promotes the production of melanin that nourishing hair follicles. Reduced melanin is the leading cause for graying hair. By He Shou Wu promoting the production of melanin, the hair decreases in grays and can darken back to its natural color. In addition to its hair promoting benefits, studies have shown that He Shou Wu may lower cholesterol in part to the herbs lecithin content. He Shou Wu helps to promote increased antioxidant activities in the body, proper red blood cell generation and slow down gland degeneration, which all work to slow down the aging process. All these reasons certainly make it a tonic worthy of taking for the rest of one’s life! Natures Elements provides there customers with the option to choose the Auto-Ship feature. This is the easiest most convenient way to get all the benefits from the company including 20% off all reoccurring orders and free gifts.